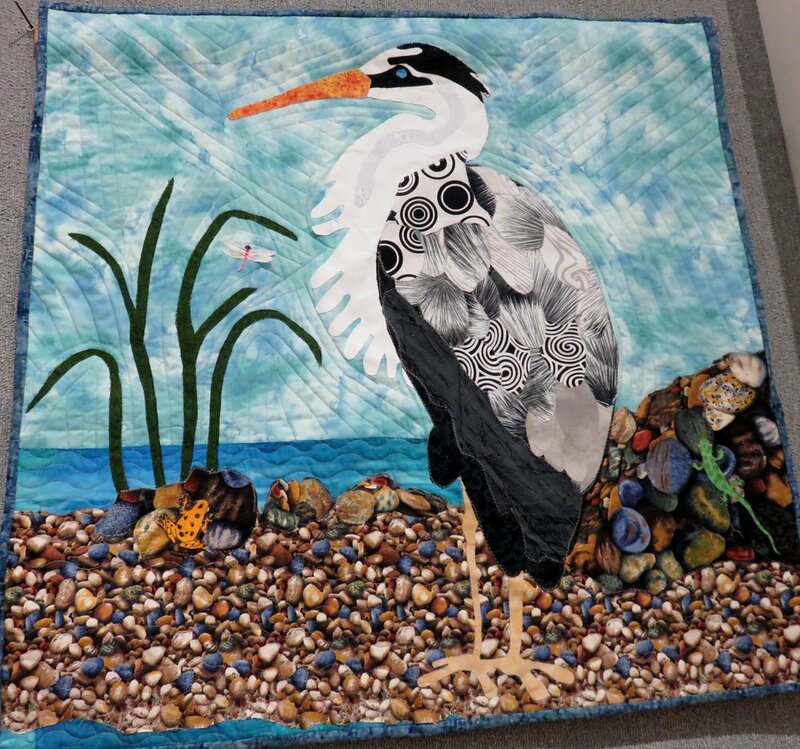 Frances S. Kelley, president of the Swamp Fox Quilters Guild, recently completed Her On for her contribution to the annual challenge. The theme for this year, “It’s a Small World” made Frances think about the small creatures in the world and their habitats. She also chose to play on the words of the name Heron. This piece measures 28″ x 30″. It is machine appliqued and machine pieced. Frances used a domestic sewing maching to complete the quilting.